A turn-key, automated marketing system to revolutionize your practice. Our flagship service, the MarketingPro system, offers all the content and compliance interaction of our MarketingLibrary service, but instead of downloading and printing the compliance-reviewed content you need, the automated system does it FOR you. 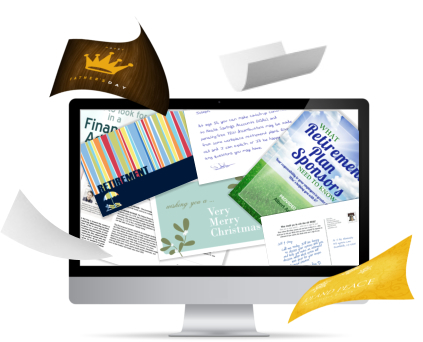 Send the content you choose directly through the system – via customized email templates or direct mail. Our team prints your custom materials, sorts, stuffs, addresses, affixes postage, and sends on your desired date. Never lick a stamp again. Can you set up an entire year's worth of client and prospecting contact campaigns before lunch? Scroll down to learn more about this revolutionary system. 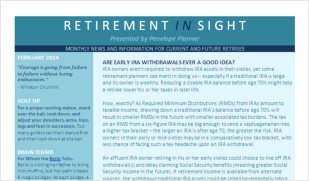 Our intuitive interface makes it easy for you to find the materials you need – from Monthly Retirement Newsletters, to Weekly Financial Articles. From Quarterly Economic Updates and Tax Guides, to Client Letters, Holiday Greetings, Practice Management Materials, and Invitations. If your Broker/Dealer supports the system (hundreds do) simply check to see if it's already been reviewed and approved, then use immediately. No waiting. Upload your list of contacts, break them into groups, and, in just one sitting, you can decide what each contact group will receive – all year long (or longer)! Imagine sending 1,000 greeting cards, with custom text, in your own handwriting font, with just one click of your mouse. YOU CAN! Create automated campaigns (or use our pre-built campaigns). 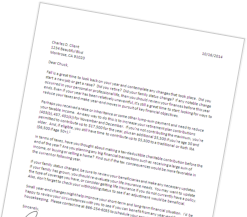 Combine email and direct mail, one-shot materials and ongoing newsletters. The system sends it all for you – to whomever you want, whenever you want. In addition to providing pre-written, 140-character posts and full-color images that can be pre-reviewed by compliance through the system, MarketingPro will allow you to “push” your posts directly to your various profiles – Facebook, LinkedIn, Twitter*. Keep in regular communication with your followers, automatically, by pre-setting ongoing social media campaigns. Our team provides a minimum of 10 new social media posts every week, so you’ve always got something fresh to share. Add Social Media Automation to your MarketingPro account to take your social media presence to the next level in record time. Easily link your various social media accounts (Facebook, LinkedIn, Twitter), then create automated social campaigns by selecting what types of messages you'd like to post, where, when, and how often. The system offers a minimum of 10 new text-based social media posts per week, and 15 social media images per month. You can post new content every day, if you like, without lifting a finger. CLICK HERE to learn more about Social Media Automation. * For Broker/Dealers that support Social Media. Upload your photo to any or all of our four, monthly Newsletter. Customize any of our 20 email template designs (or upload your own)! 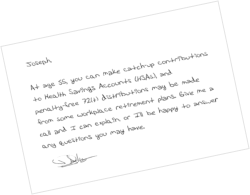 Use our revolutionary process to create your own personal handwriting font and upload your signatures to make sending cards more personal (yes, it’s included)! 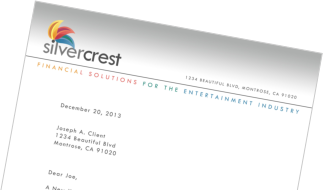 Upload your own letterhead and we’ll custom print your outgoing messages on it whenever you like. MarketingPro makes keeping your branding top-of-mind easier than you ever imagined – and all this is included with your subscription. Yes, really! Birthdays and anniversaries made easy. 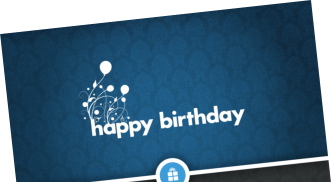 Our automated birthday and anniversary campaigns (wedding or client start date anniversaries) make it SO simple to see that your valued clients receive a card from you at the right time, every year, for as long as you like. 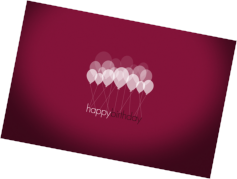 For the birthdays, just make sure you’ve got your client’s birthdate noted, then add them to the campaign. 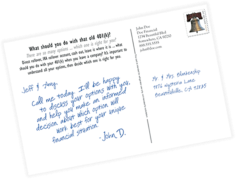 From then on, your client will receive a birthday card every year, acknowledging the exact birthday they’re celebrating, with new interior text each time. All you have to do is select one greeting card design each year to go to all of your contacts (or select a separate design for male and female contacts). We’ll see that everyone gets their custom card, at the right time. Use our contact management feature to stay organized. 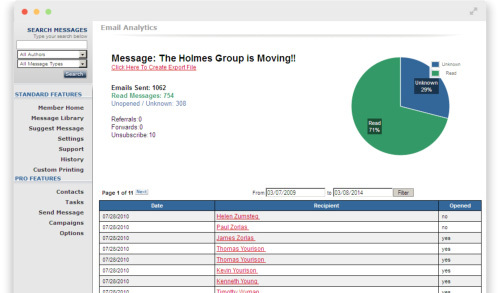 Use the on-board email tracking features to keep track of what you've sent, and to whom, as well as gauge which of your campaigns is most effective, and who is opening what. 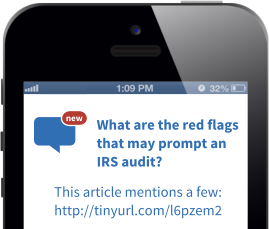 You can even track your requests to your own compliance office* and receive notification when a piece has been reviewed. * For Broker/Dealers who support the MarketingPro system. We recently launched “premium content” access. 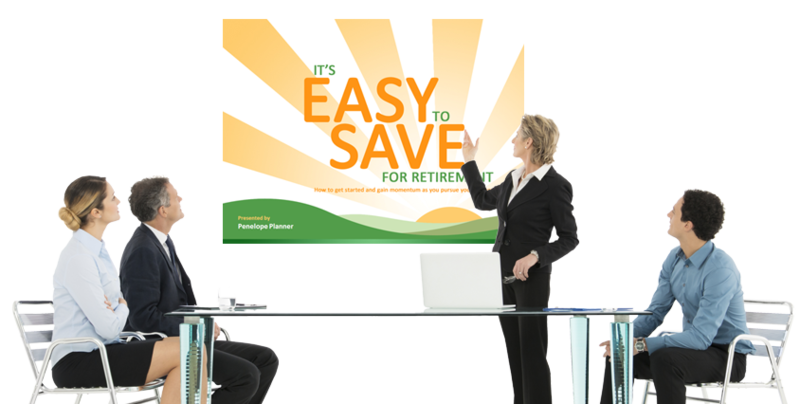 Now MarketingPro subscribers can choose to purchase complete seminar presentation packages directly through their account. And soon… videos for their websites, as well as a series of evergreen practice videos, narrated by, the one and only, David Ogden Stiers.